Old map by DELAMARCHE - Carte générale de L'Europe. . . 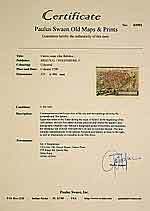 Title: Carte générale de L'Europe. . . Condition: Folding and linen-backed map divided into 6 parts. Paper a bit separating from linen, map is in good condition. 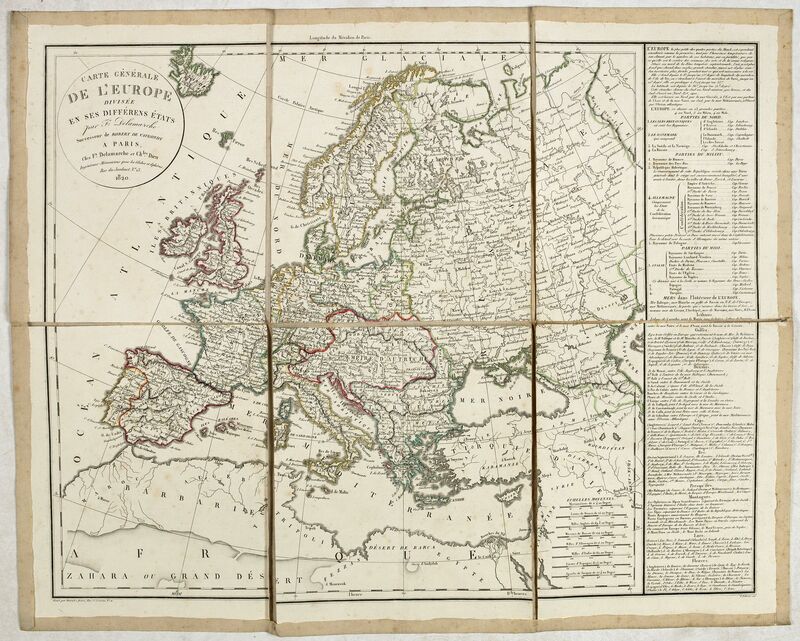 Map of Europe prepared by Felix Delamarche, after R.de Vaugondy. In the right hand a lengthy description of geographical details of the different European countries, mountains, lakes, rivers, etc.